On Monday I returned home from Greenland Week in Washington. 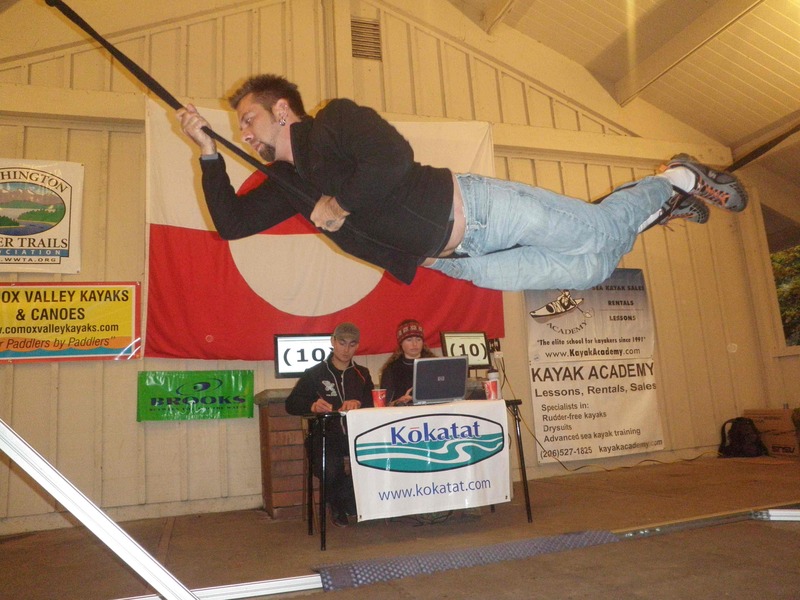 It was a week long event hosted by the Kayak Academy and consisted of classes followed by a three day competition, loosely based on the Greenland National Kayaking Championship, an event held in Greenland yearly. Classes were taught by George Gronseth, Maligiaq Padilla, Dubside and myself. Dubside, Maligiaq and I judged the competition on a very cool real-time scoring program that Dubside put together. The days leading up to the competition consisted of lessons in rolling, harpoons, rope gymnastics and strokes, and day trips to the Straits of Juan de Fuca and Deception Pass. 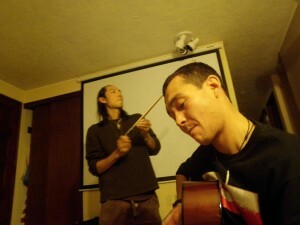 Evenings were spent hanging out with old friends and making new ones. The competition included rope gymnastics, a 6.2 mile race, harpoon throwing for distance and a rolling competition. 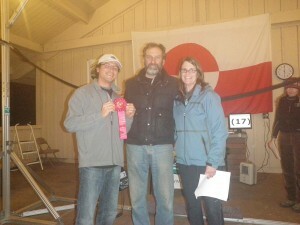 Prizes were awarded (by some very generous sponsors) for the top three competitors in each discipline. Recognition awards were given to everyone that participated. 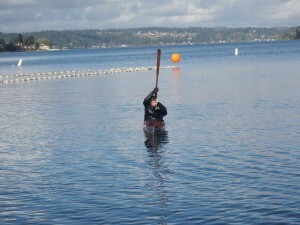 Results can be found at www.kayakacademy.com. Congratulations to the first place combined winner, Duane Strosaker, a kayaker from California. Next year’s Greenland Week Symposium and Competition will be held from October 28 to 30. 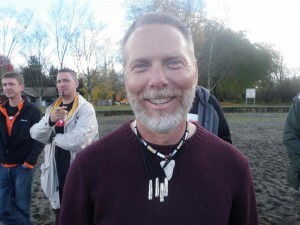 For more pictures (most of which event volunteers took), please visit the Gallery. 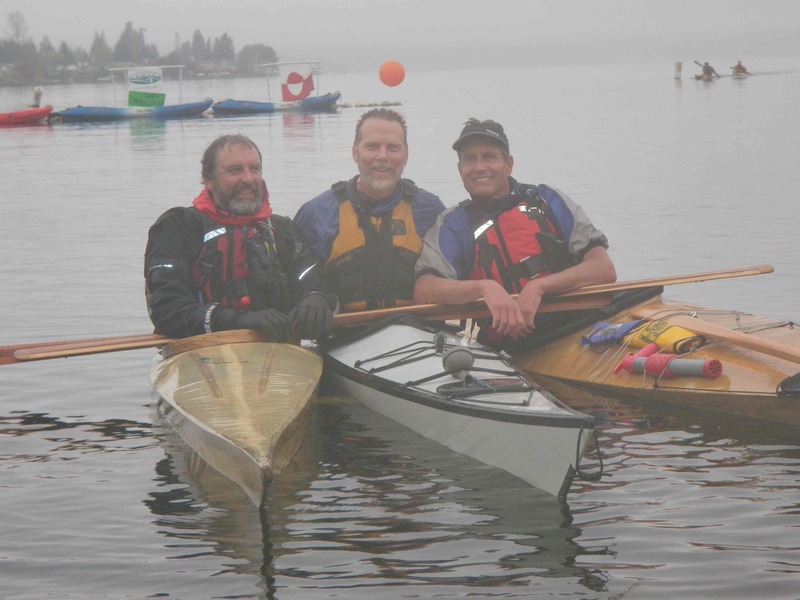 Location: Member Night begins at 6 p.m. and is held at the Humboldt Bay Aquatic Center at 921 Waterfront Drive, Eureka. 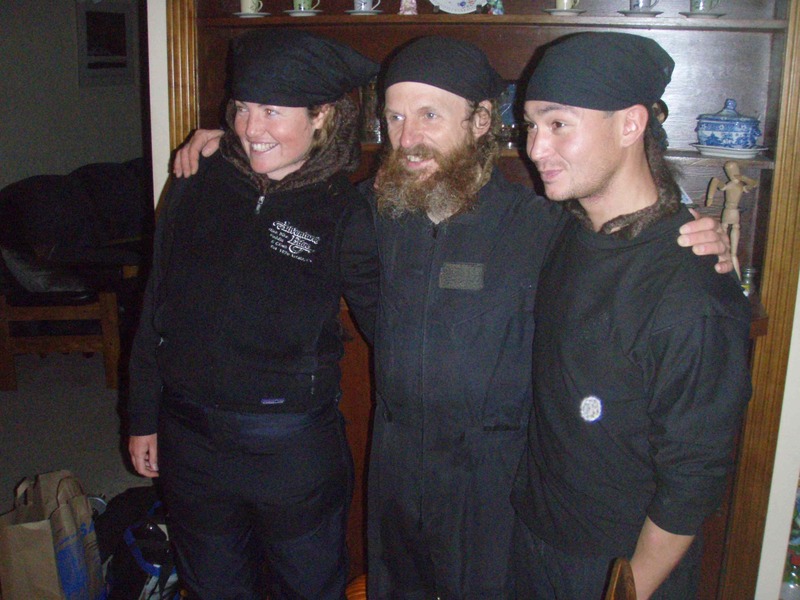 Description: Helen Wilson will present on her recent travels to various places in the U.S., Holland, Norway, Sweden, Estonia, Canada, Japan, Wales, Israel and a retreat that she went on with the Tsunami Rangers. The sea, that has been our playing field, had brought us a great deal of harm to sea kayakers too because of the 3.11 East Japan Great Earthquakes. Furthermore, the impact for anyone who is allowed to play in the sea is also beyond imaginable. In the island nation of Japan, the sea is inseparable to the people. We believe it is very important to pass the words of importance of the sea to the next generation. 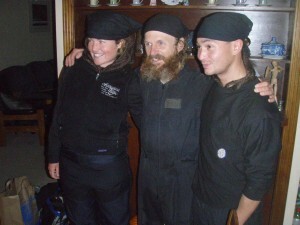 The theme “Co-existence, Kayak and Sea”　We want to tell the story through the sea. Description: Join Helen Wilson and Mark Tozer for a full weekend of Yoga for Paddlers, Simplifying the Roll, Performance Paddling Clinic, Greenland Rope Gymnastics, an Evening Slideshow Presentation, Complicating the Roll and Simplifying the Rescue. 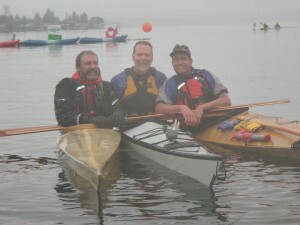 Contact: For more information, course fees or to register, visit www.raftandkayak.com.